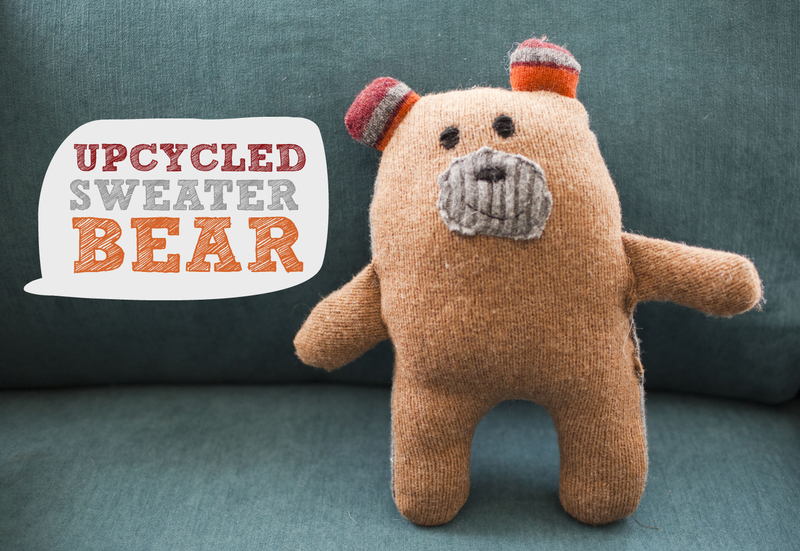 I made this stuffed bear using this pattern I bought on etsy. I made it to give to a friend at her baby shower. I used old sweaters for the fabric. I was reluctant to give it because its far from perfect, (ummmm….lopsided ears!) but hoping that she will think its the thought that counts. 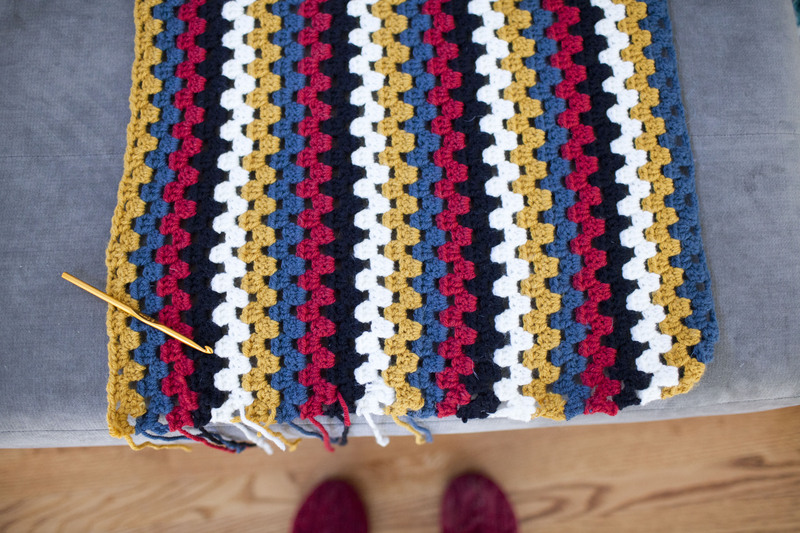 I head to china in the morning, so I wanted to share the progress I have made on the granny stripe blanket. I just about used up one skein of each color, so I’m thinking its going to take three skeins of each yarn, not two, like I originally thought. So it looks like I’m a third of the way there. Hopefully after 26 hours of travel tomorrow I will make some nice progress…Have a great week! They only use a few ingredients. You could use red food coloring and make them red, for an even more festive treat. With a flat beater, cream earth balance until light and smooth. Add granulated sugar and mix until well blended. Add powdered sugar and salt and beat until fully combined. Add the flour and beat until fully incorporated. Roll the cookie dough out. I was having a hard time with a rolling pin, so I just grabbed it in chunks and flattened it with my hands. This seemed to work much better. 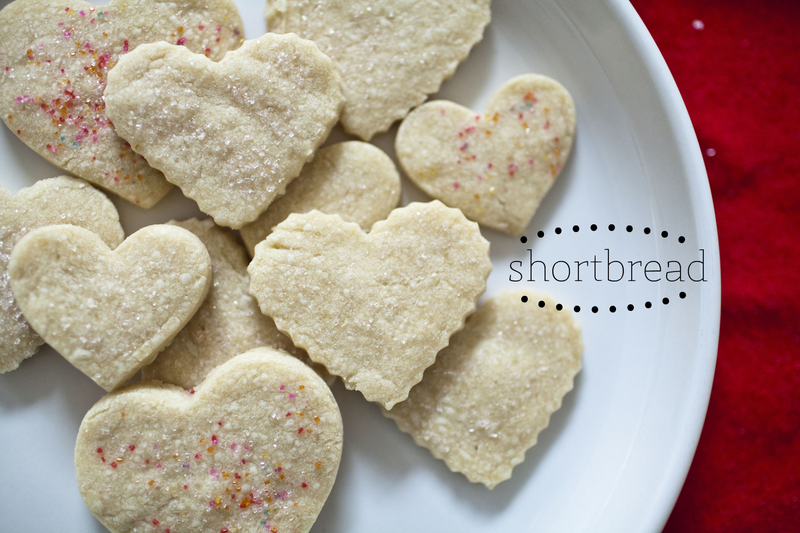 Cut out shape and sprinkle with sugar. Bake for 15 minutes. Fat tuesday is the kick off to mardi gras; meant to be a day of indulgence to be followed up with days of fasting and giving up thing that are bad for you. 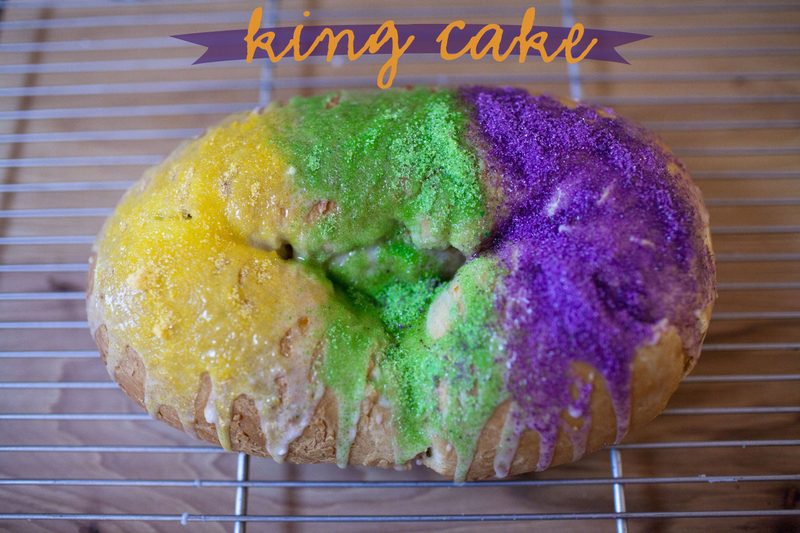 Kind of silly if you ask me – but it didnt stop me from indulging in some king cake! I have never had a king cake. Haven’t ever seen a vegan one for sale, but I do remember that Kittee seemed to be the queen of vegan king cake, so I gave her recipe a whirl. This recipe seems intimidating because it uses yeast and you have to let it rise. But don’t let that stop you. It’s not hard at all. And it turned out delicious. I used some tofutti cream cheese topped with cinnamon and sugar as my filling. It has a hint of orange in the dough, and something about that keeps making me want to go back for more. I didn’t know how easy it would be to find the traditional mardi gras colors for the sprinkles, nor did I feel like going to the store specifically to try to find out – so I made my own! I just mixed food color with regular sugar. That was easy! So enjoy your fat tuesday! What do you plan on indulging on today? 1-1 1/2 cups powdered sugar and more non-dairy milk for glaze. In the bowl of a mixer with a dough hook, combine the whole wheat flour, yeast, salt, and 1/4 cup of the granulated sugar. Heat the Earth Balance and non-dairy milk over medium low heat, until the Earth Balance is melted. Remove from heat and add the warm water. Bring the temperature to 110F. Add the warm liquid to the flour and and beat to combine. Add the yogurt, Ener-G and zest and continue to beat until well blended. Add in 1/2 cup of white flour and mix to combine. Continue to add the white flour in 1/2 cup increments until the dough is soft and firm, but still a bit tacky (mine only needed 1 1/2 cups). Knead for ten minutes by hand or five with a dough hook, until the dough is smooth and elastic (it will be slightly tacky to the touch). Gather the dough into a ball and let rise in a large bowl covered with a tea towel in a warm area, until doubled in size about 2 hours. (I put mine in the oven with the pilot light lit). Once the dough has risen, punch it down, preheat the oven to 350F. Lightly flour your counter and rol lthe dough out into a long rectangle about 26″X20″ (keep the wide end facing you). The dough should be about 1/4″ thin. Once the dough is rolled out, it’s time to fill it. Spread your choice of filling over the whole thing, but leave a 1″ margin at the top and sides to help prevent the filling (see below) from squirting out when you roll it. Starting at the bottom edge, carefully roll up the dough, jelly style–don’t forger to hide a tiny baby in the cake somewhere (you can use a dry bean, too). Pinch the seam really well, and connect the ends to form an elliptical ring. The sides will need to be pinched extremely well too, because they often leak. 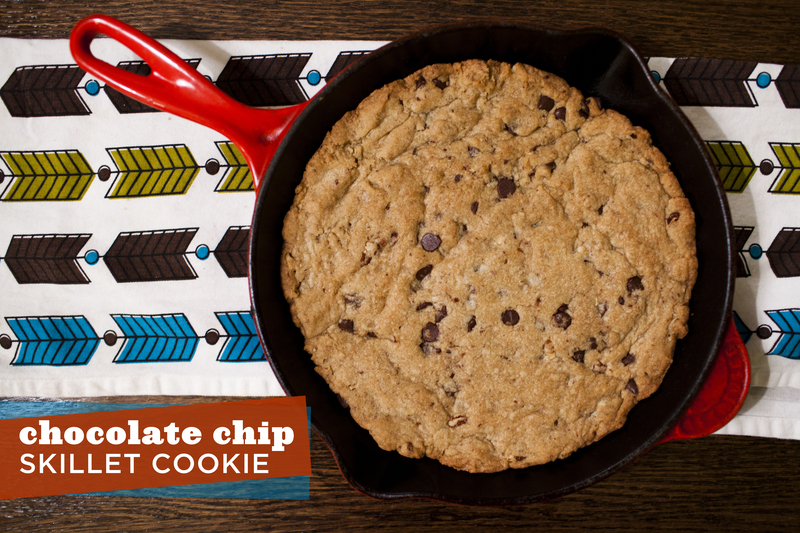 Carefully transfer to the dough to a parchment covered cookie sheet and bake until brown about 35-45 minutes. Let cool ten minutes and then transfer to a wire rack to cool more. While the dough cools, make the sugar glaze. Sift the sugar in a bowl, and add just a tiny bit of milk-teaspoon by teaspoon- until it’s a thick but pourable consistency. Pour over the mostly cooled cake and decorate with purple, gold and green sugar**. Oh, you bet we ate it with ice cream on top…. Preheat oven to 350 degrees. Grease a 10 inch skillet. combine flour and baking powder. In a small bowl, combine water and flax. Mix well. In another bowl, cream earth balance and sugar until light and fluffy. add flax mixture and vanilla. Add dry ingredients until batter comes together – don’t overmix. Add in pecans and chocolate. Spread into pan and bake for 30-40 minutes until edges turn brown. let cool about 15 minutes and serve warm. I love some fancy toast in the morning. I have been buying a loaf of cranberry walnut bread for the past few weeks from this european grocery store near us, and I even found myself near little goat enough to try a few of her loaves….but I finally decided it was time to bake my own. 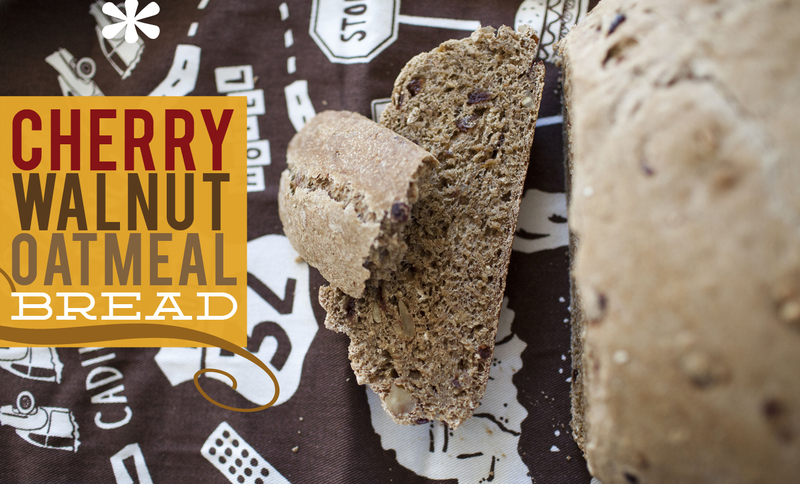 I’ve been wanting to make my own bread for some time … It seems like a much more daunting task than it really is – This one had a bit more ingredients than your typical loaf of bread, but I was able to whip this up before swim lessons on saturday – and by the time we got back it was all risen and ready to bake. 30 minutes later, we had a big loaf of fresh bread to eat….and it was delicious. 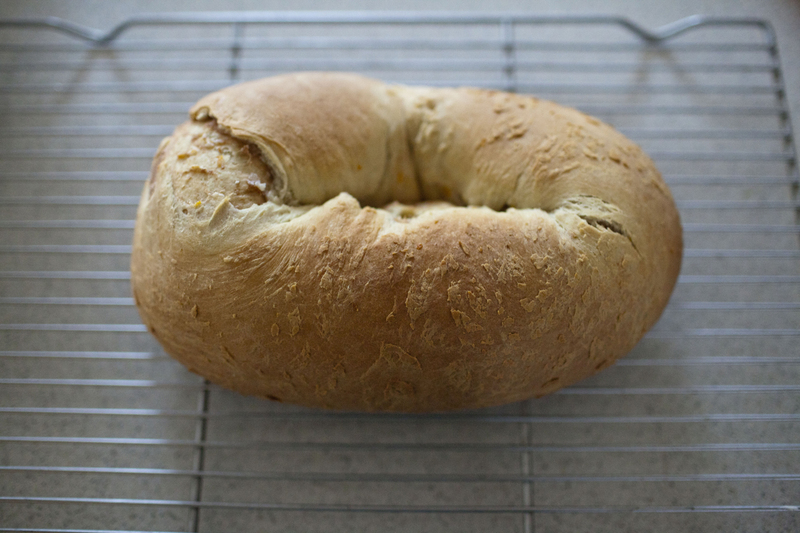 In large mixing bowl, combine 1 ¼ cups bread flour, yeast and salt; blend well. Heat 1 cup water, molasses, vegetable oil and rolled oats until warm (120°-130°F). Add to flour mixture. Blend at low speed until moistened; beat 3 minutes at medium speed. By hand, gradually stir in whole wheat flour, nuts and enough remaining bread flour to make a firm dough. Knead on floured surface 5-8 minutes or until dough is smooth and elastic. Use additional flour if necessary. Place dough in lightly oiled bowl and turn to grease top. Cover; let rise in warm place about 15 – 20 minutes. Turn dough onto lightly floured surface; punch down to remove air bubbles. 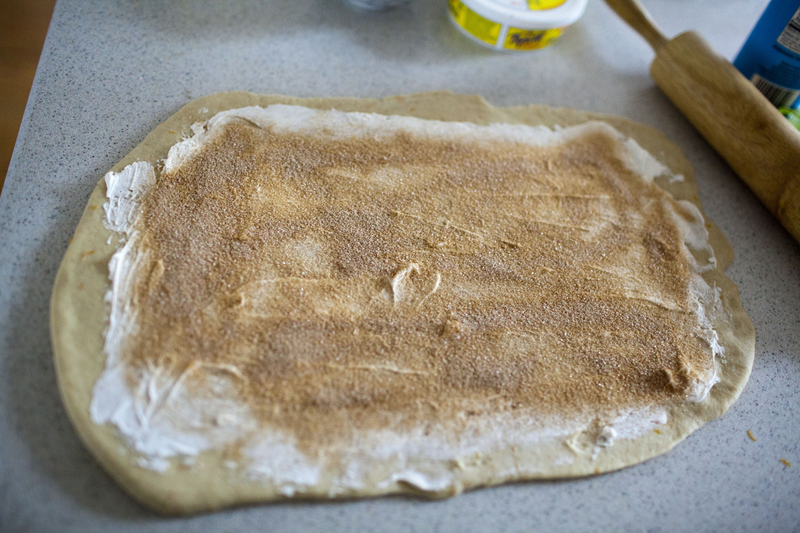 Roll or pat dough to a rectangle, approximately 14×7. 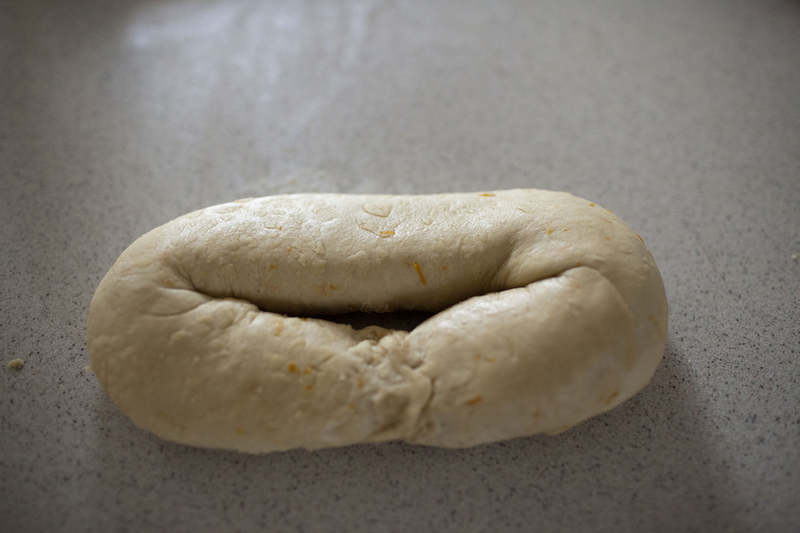 Starting with shorter side, roll up tightly, pressing dough into roll with each turn. Pinch edges and ends to seal. Place in a greased 8 x 4-inch loaf pan. Cover; let rise until indentation remains after lightly touching the side of the loaf, about 30-40 minutes. Bake in preheated 375°F oven 30 to 40 minutes. Remove from pan; cool. 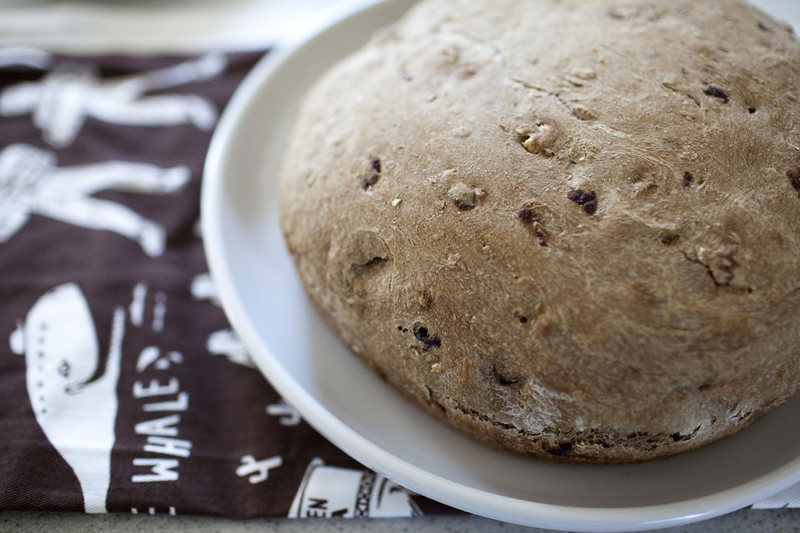 To make a round loaf, shape into a round loaf and place on a greased cookie sheet. 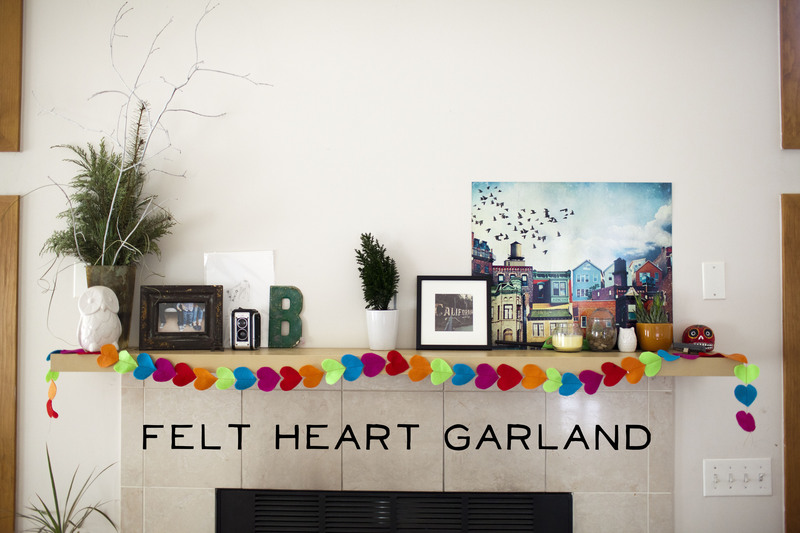 This was a pretty easy project using felt and my sewing machine. I cut a bunch of hearts out of felt and used my sewing machine to sew them together. I think once valentines day is over Im going to put these in my craftroom because they are so cute! 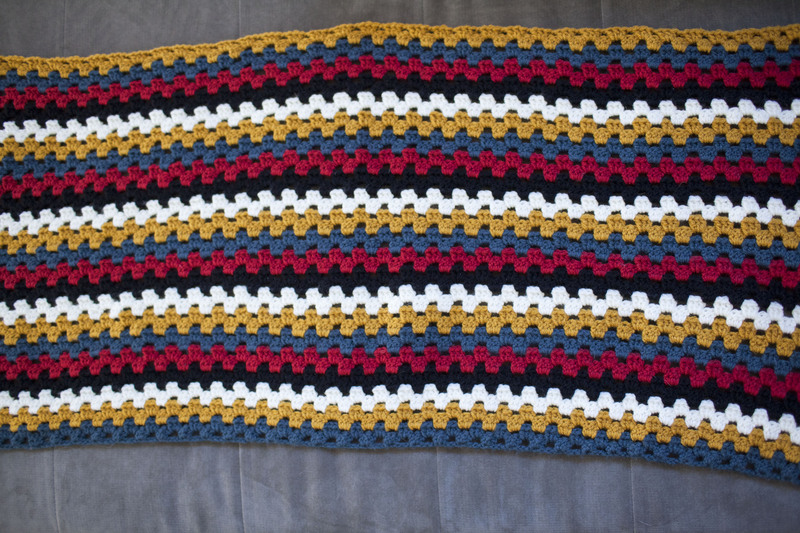 Well, one of the benefits of being so sick this week, is I had some extra time to work on this blanket I started for milo a few weeks ago. After he saw me making the baby blanket, he decided he needed to have one his size. He wanted it EXACTLY like that blanket, but I couldn’t stomach making the exact same thing again, so I changed it up a bit. I used “Loops and threads” Charisma yarn, which is also a bulky yarn and my N crochet hook. I started with 72 chains, and double crocheted until the end. I used five skeins of the grey yarn. I changed the stripes too – he insited on green stripes, but I was able to convince him to let throw in the blue stripe as well. I feel like this yarn has more give than the previous yarn which is nice, but on the other hand, it looks alot cheaper, and seems like it will shed a bit. Its all acrylic and its nice and soft. 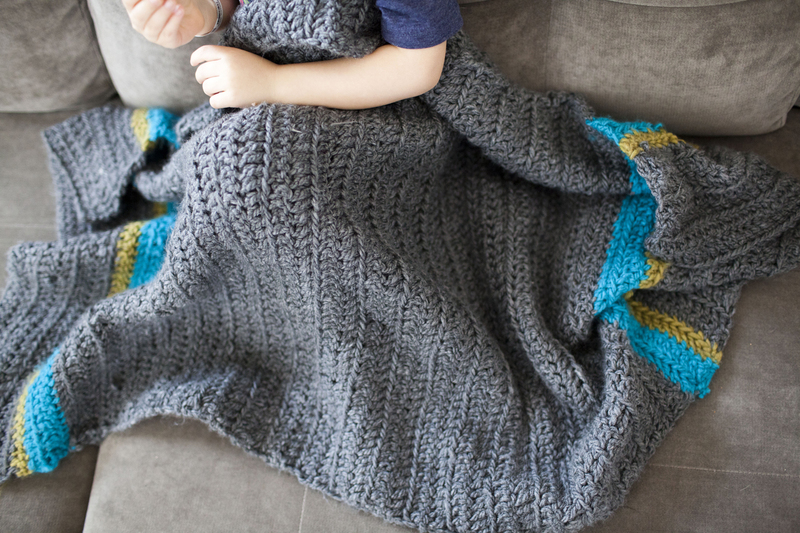 I don’t know what it is with this blanket, but i had to redo it three times, which is part of what took me so long. On one it kept getting narrower, and the other it kept getting wider. Third times the charm I guess because I got this one to work out. Its not perfect, but it works for milo! He is thrilled with it, so i guess thats all that matters. And since Milo is recovering from being sick, I finished it in perfect time for him to snuggle with it all day! 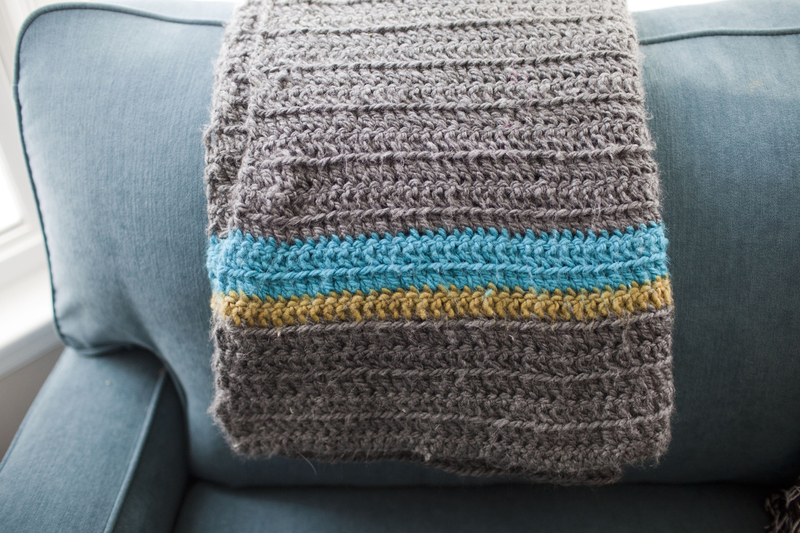 Now I can spend some time on the granny stripe blanket. Its like the plague has hit our home. First, pink eye struck. Then a bad cold I’ve been fighting for over a week. Then 103 degree fevers and a trip to ER for milo…. Now my husband is sick. Its been a LOOOONG week. and my cold is still lingering! 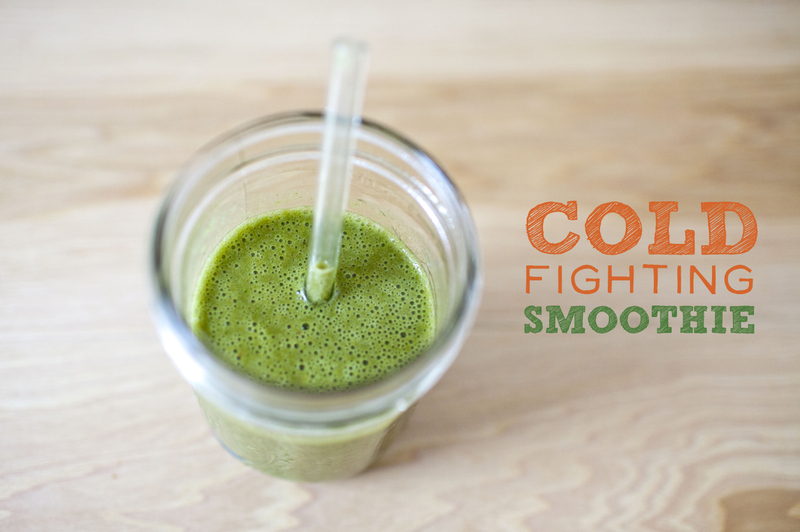 I made up this smoothie to help us get some vitamin c in our bodies first thing in the morning. It may not actually “fight” a cold – but I wanted something nourishing and fresh in our bodies to start the day since we haven’t been eating much real food otherwise. It definitely tastes good! Mix it in a blender and drink away! 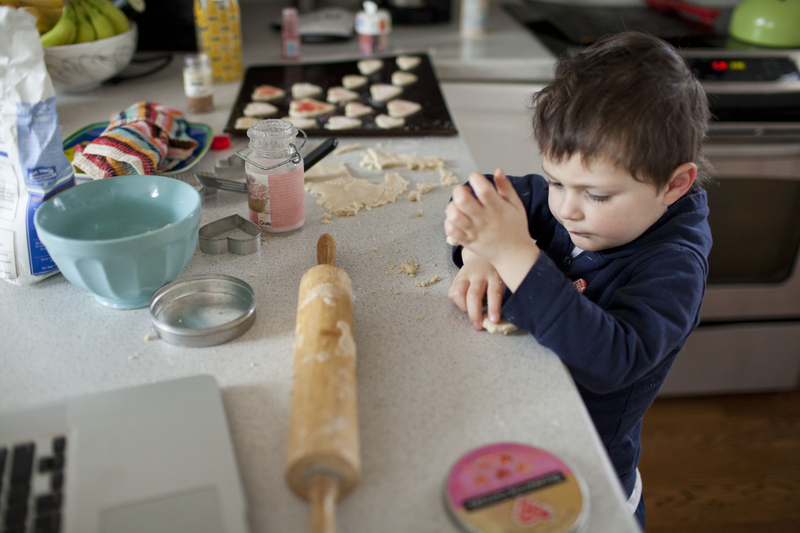 I saw this project on the land of nod blog and thought it would be an easy, fun project to do with milo. And I had just enough contact paper left over to do it. 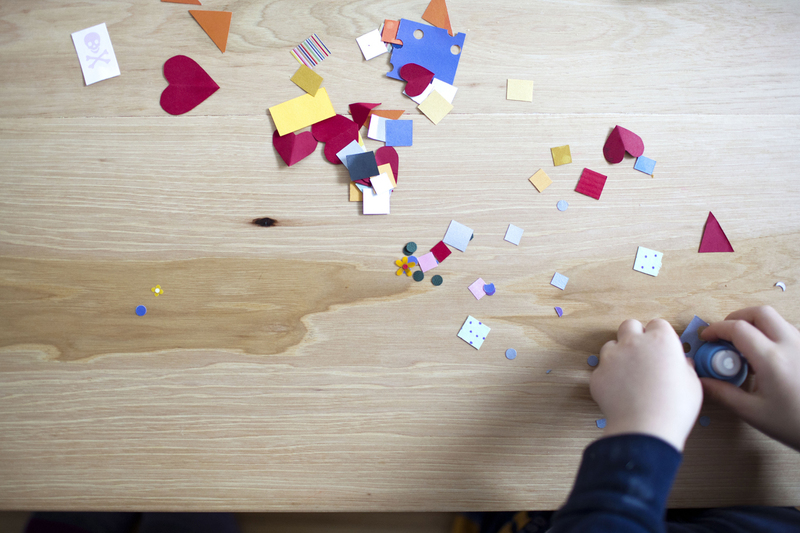 I had a ton of scrap paper already cut up from my card making days, but milo had fun using the hole punch and making little confetti circles to add to the contact paper. 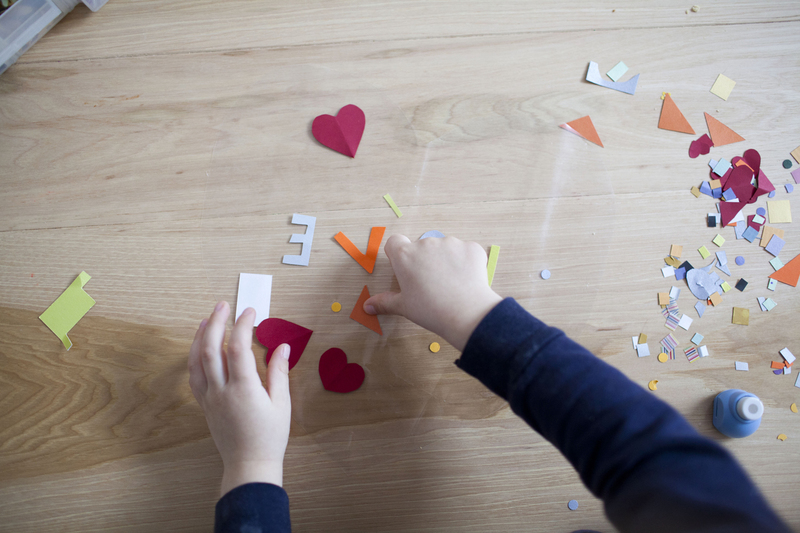 First, cut out scraps of paper – use different sizes, shapes, colors. 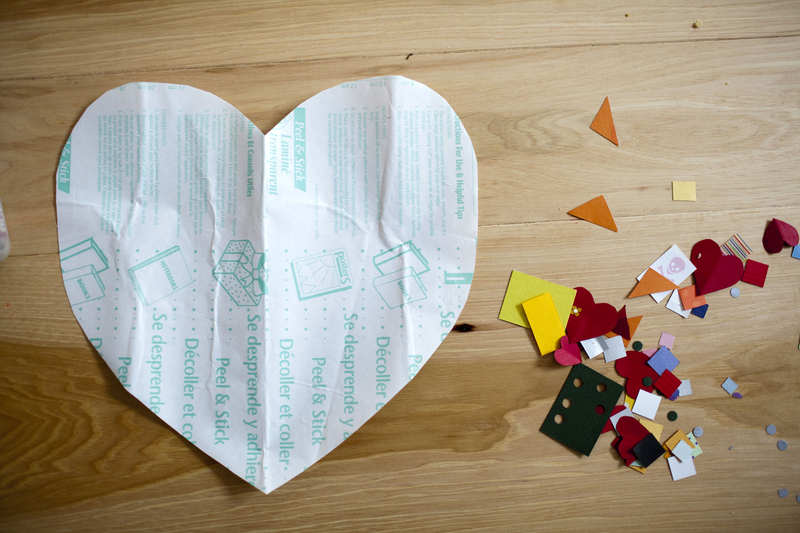 Next, cut out a big heart out of contact paper. Peel the back off the contact paper and affix the shapes you just cut on the sticky part. If you use letters, remember to make them read backwards. 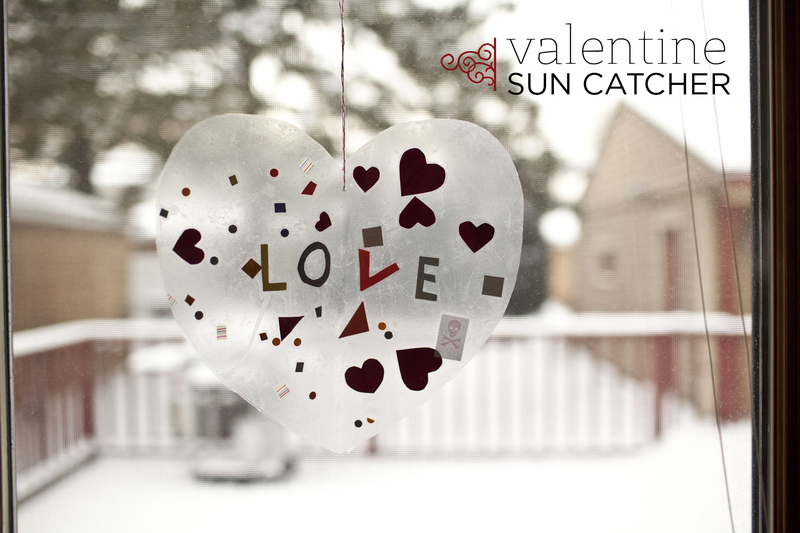 Then you can take the sun catcher and stick it directly on the window, like they did in the original post. I was paranoid if I did this, it wouldn’t come off my windows for some strange reason, so I cut out another heart, the same size, out of contact paper and put it on top of the other one, sealing everything in place. Then I used a hole punch to make a hole and add string to hang it.